The Virginia Society of Association Executives (VSAE) will hold its monthly luncheon on Friday, January 8, 2016 at the newly renovated Hilton Richmond Downtown. A reception will be held from 11:00-11:45 a.m. and a luncheon from 11:45 a.m.-1:15 p.m. Dr. Bob Holsworth is the luncheon speaker. This is the nineteenth consecutive year Dr. Holsworth will present his political insights to VSAE members. He will talk about the coming General Assembly session including some significant leadership changes in both the House and Senate. Next year is a Presidential election year and Virginia will once again be a battleground state. Holsworth will discuss what this means for associations, their members, and the Commonwealth. Dr. Robert Holsworth is a leading political analyst from Virginia and is seen regularly on WTVR-TV (CBS). He received his Ph.D. from the University of North Carolina at Chapel Hill, and is a retired VCU professor where he taught courses in Virginia politics, American politics, and political theory. Holsworth is always an enlightening presenter and will gladly take questions if time allows. Do not miss this once a year opportunity to hear VSAE’s most requested speaker. VSAE non-members can register for $50 for breakfast if done by Tuesday, January 5, 2016. On-site registration is available and subject to higher fees. Call VSAE at (804) 747-4971 for more information or register online now. President Wilmer Stoneman, III, CAE with winners Cassie White, Denise Creasman, Houston Pettus, and Rick Eisenman, CAE. Photo credits, Jesse Peters, Backlight Photography. Four individuals were honored last week with the highest awards in the Commonwealth’s association management industry. The Virginia Society of Association Executives (VSAE) annual Awards of Excellence were given out at VSAE’s Holiday Luncheon & Silent Auction on Friday, December 4 at the Richmond Marriott Downtown. Rick Eisenman, CAE, President and CEO of Eisenman & Associates, was awarded the CEO Award of Excellence. For the past twenty years, Rick has served as VSAE’s Executive Vice President. The Award is given to an outstanding association professional who has been nominated by his peers in recognition of his leadership and achievement. Much of VSAE’s success over the past twenty years can be traced back to Rick’s leadership. His steadfast guidance, professional demeanor, and outgoing personality have proven invaluable in continuing the organization’s trajectory of success. This award recognizes his many years of experience in the association industry and through VSAE, all of which has helped VSAE be the strong organization it is today. Cassie White, Communications Specialist, American Council of Engineering Companies of Virginia, was presented with the Association Staff Award of Excellence. This award recognizes an association staff professional for her contributions to her association and VSAE. Criteria for this award include high integrity, professionalism, peer recognition, a record of success in association management, and consistent leadership and service to VSAE. Cassie is an active and engaged member of VSAE, serving in several leadership positions including with VSAE’s Emerging Association Professionals Shared Interest Group and on the Community Service Committee. She was especially recognized for keeping everything running smoothly while her CEO was out on an extended medical leave this past summer. Denise Creasman, Sales Manager at the Renaissance Portsmouth-Norfolk Waterfront Hotel, was given the Associate Member Award of Excellence. This award recognizes a supplier or vendor from the VSAE membership who has distinguished themselves through professionalism and customer service. Denise is an actively engaged member and the ideal volunteer leader. There are many activities throughout the years that would not have been possible or as successful without her. She has served on numerous committees and has been a tireless champion of the community service activities. Her years of leadership as chair of the Community Service Committee is one of the main reasons she received this award. Houston Pettus, Director of Banquets at The Omni Richmond Hotel, received the Career Service Award, which is presented to an individual outside of the field of association management, who through hard work, pleasing personality, and dedication to his job, has provided exceptional service to the association community over the years. Houston is the very definition of customer service. Anyone who has held an event at the Omni Richmond Hotel has noticed how Houston carefully watches over each and every meeting detail ensuring that nothing is left to chance. Houston follows in the footsteps of his father, Woody Pettus, the 2000 Career Service Award recipient. The Virginia Society of Association Executives (VSAE) will hold its November Monthly Luncheon & Seminar on Friday, November 6, 2015 at the Jepson Alumni Center. The meeting will feature a seminar at 8:30 a.m., with a luncheon and networking reception to follow from 11:00 a.m. - 1:00 p.m. The content leader will be Dave Saunders, Chief Ideas Officer of Madison+Main, a Richmond-based branding, marketing, and public relations agency. SEMINAR: WHO WINS THE SOCIAL REVOLUTION? Social media changed everything. It fundamentally changed the way we communicate and exchange information in the Information Age. In this engaging and humorous presentation, Saunders will lead seminar participants on a fun and informative look at the interactive web through the years. Saunders will explain the web from the PC-era through the 1.0 period (think AOL), through Web 2.0 (blogs and social media), and will highlight how the rules of the game have changed in Web 3.0 (semantic and mobile). He will even give a glimpse into the future of communication in Web 4.0. Attendees will leave with a better grasp on the following. Origins and evolution of the World Wide Web. How companies, large and small, have been affected by the advent of social media marketing, recruiting, customer service, communications, and more. What’s next in the realm of online marketing and communications. “The holy trinity of social media”; LinkedIn, Facebook, and Twitter. Basic strategies involved in branding and marketing in the Digital Age. As attendees enjoy a delicious lunch at the Jepson Alumni Center on the beautiful University of Richmond campus, they’ll get a hard-hitting yet light-hearted look at why some companies win big and the rest try to play catch-up in the realm of branding. As we transition from the Information Age into the Age of Convergence, companies not only have to compete with each other but also for attention. Saunders will review examples of successful brands, both large and small, and explain how they did it and how attendees can apply some of the same strategies to their organization, regardless of what they do or what they sell. Attendees will learn the four rules of brand building and that there are only three kinds of brands. Audiences love the way Saunders takes complicated subject matter, breaks it down into easy to understand concepts, and keeps participants entertained while doing it. Dave Saunders is a former Advertising & Marketing Director with Media General, coming back to Virginia after 11 years working in Los Angeles. He is the founder of Great American Concepts, a Venice Beach-based advertising and design firm, as well as former Director of the Los Angeles office of Hal Riney & Associates. Before this, Dave previously served as Manager of Times Direct for Tribune Media, the parent company of the Los Angeles Times and its Internet properties, CareerBuilder, Cars.com and LAtimes.com. Dave has also served as an adjunct faculty member at Virginia Commonwealth University, where he taught the nation’s first undergraduate level course on social media marketing in 2008. Additionally, he leads marketing and social media workshops for VCU’s Center for Corporate Education. In 2009, Dave was honored as a finalist for Business Person of The Year by the U.S. Small Business Administration and was appointed by Virginia Governor Bob McDonnell to Virginia’s Small Business Commission in 2012. VSAE non-members can register for $50 for breakfast if done by Tuesday, November 3, 2015. On-site registration is available and subject to higher fees. Call VSAE at (804) 747-4971 for more information or register online now. Doug Eadie to Present, "The Board-Savvy Executive"
The Virginia Society of Association Executives (VSAE) will hold its Monthly Luncheon & Seminar on Friday, September 11, 2015 at the Richmond Marriott West. The meeting will feature a seminar at 8:30 a.m., with a luncheon and networking reception to follow from 11:00 a.m. - 1:00 p.m. The speaker is Doug Eadie, President & CEO of Doug Eadie & Company, a firm that works with non-profit organizations in the areas of board and CEO leadership and strategic change. Drawing on Eadie’s new book, The Board-Savvy CEO: Building a High-Impact Partnership With Your Board (Governance Edge Publishing, 2014), “The Board-Savvy Executive” will provide seminar participants with detailed, practical and thoroughly tested guidance in becoming truly board-savvy leaders. The key characteristics of the board-savvy CEO will be described, and the primary partnership-building roles of the board-savvy CEO will be explored. Special attention will be paid to the role of the board-savvy executive in turning board members into satisfied owners of their governing work. At the conclusion of the seminar, participants will have a firm, detailed grasp of the three key roles that truly board-savvy executives must play in building rock-solid partnerships with their boards: developing the board’s governing capacity; mapping out processes for involving the board in doing high-impact governing work; and managing the working relationship with the board. You don’t need to be a CEO or even an aspiring CEO to apply the lessons Doug will be sharing. Every association executive will benefit from this session. During the luncheon, Eadie will present “Cementing the Board Chair-CEO Working Relationship” which uses real-life examples in describing practical steps CEOs can take to build a solid working relationship with the board chair, including: clarifying the board chair-CEO division of labor; helping the board chair succeed in leading the board; and providing the board chair with a satisfying leadership experience. Doug Eadie is President & CEO of Doug Eadie & Company, a Tampa Bay-based firm that works with nonprofit and public organizations in the areas of board and CEO leadership and strategic change. Over the past 25 years, Doug has assisted over 500 non-profit/public organizations, including such associations as the International and American Associations for Dental Research, the American Public Transportation Association, the International Economic Development Council, the Chicagoland Forum of Association Executives, the American Association of Diabetes Educators, and the Health Information Management Association, among many others. VSAE non-members can register for $50 for breakfast if done by Tuesday, September 8, 2015. On-site registration is available and subject to higher fees. Call VSAE at (804) 747-4971 for more information or register online now at vsae.org. The Virginia Society of Association Executives (VSAE) opened its Annual Conference last week by launching an entirely new brand identity. This new brand identity includes a new logo, new tag line, and new graphics treatment across all of VSAE’s communications. The new tagline – your association community – highlights VSAE’s focus on its members and the association community of which they are a part. VSAE identifies itself as the association for association executives in the Commonwealth of Virginia. Its vision is to create an engaged community of association executives focused on developing each other and enhancing the professionalism of the association management industry. “VSAE has made a lot of changes over the past five years,” said VSAE Immediate Past President Richard Johnstone, Jr., executive vice president of the VA, MD, DE Association of Electric Cooperatives. The new logo is designed to show the diversity of VSAE and its members. In the logo, seven different colors come together and the letters V S A E are formed in the white space in between. This is a reflection of the fact that VSAE exists to connect members together in service of the association community. 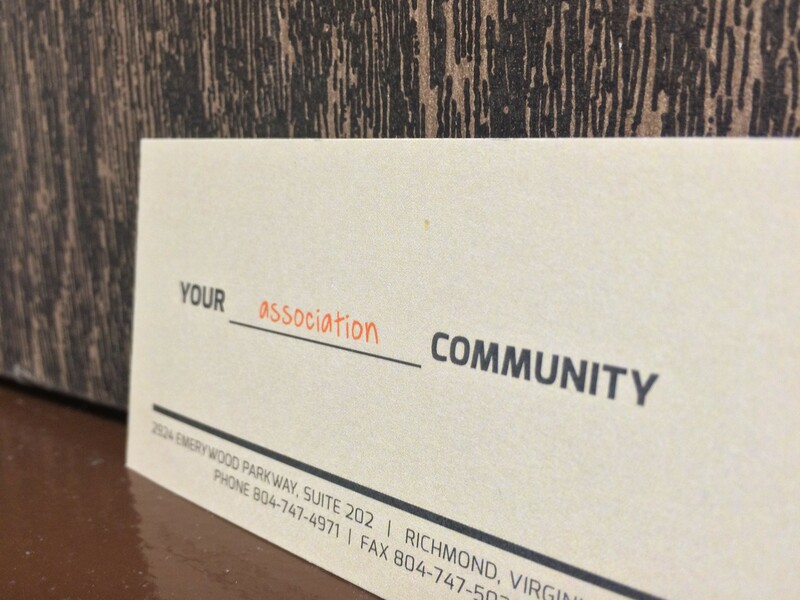 The new tagline – your association community – reinforces VSAE’s focus on its members and the community it serves. This new brand identity was the result of a nearly yearlong effort by VSAE’s Rebranding Task Force led by Scot McRoberts, MPA, IOM, executive director with the Virginia Council of CEOs. The logo and graphics were designed by John Romeo & Associates, a Richmond-based marketing and communications firm. Formed in 1949, VSAE is a 400 plus member association consisting of association executives, association management companies, representatives from the hospitality industry, and others who serve the association industry. Its mission is delivering value to association executives in the Commonwealth of Virginia by creating a community for collaboration, education and professional growth. VSAE members are encouraged to send feedback and ideas for improvement to [email protected] to ensure a finely tuned rebranding experience for each and every VSAE member and prospective member.